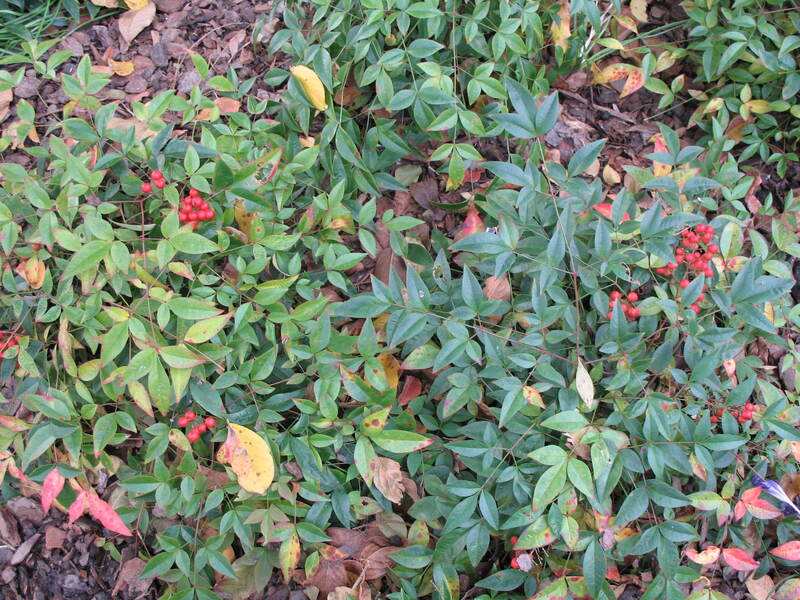 Comments: This compact, evergreen shrub has pink to bronze foliage in spring which turns bronzy-red in fall and winter. It is drought tolerant and resistant to deer feeding. Used in foundation, mass and ground cover plantings. The favorite nandina of many people who wish to have a low, compact growing shrub.